By Melissa Lennig on November 6, 2017 26 Comments. This content contains affiliate links. As an Amazon Associate I earn from qualifying purchases. Work, school, speech therapy, occupational therapy, homework, and soccer practice. Some days, our life simply isn’t slow. Add prepping and cooking dinner on top of an already busy day and it’s a wonder we even have time for homework and play. But this year I’ve discovered a delicious and easy solution that allows me to sneak in more quality time with my kids. It’s found in the freezer section of my local Kroger. For 70 years, On-Cor has been bringing families to the table with their entrées, and they are my secret to sneaking in more quality time with my kids on busy days. On-Cor’s new packaging makes it easy for Moms to understand exactly what they are feeding their families. 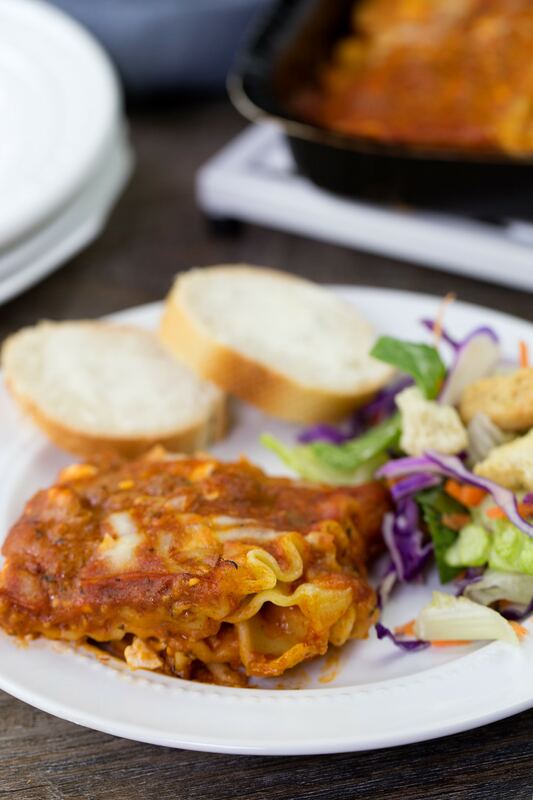 Planning for busy days allows me to breathe, and my kids love lasagna! 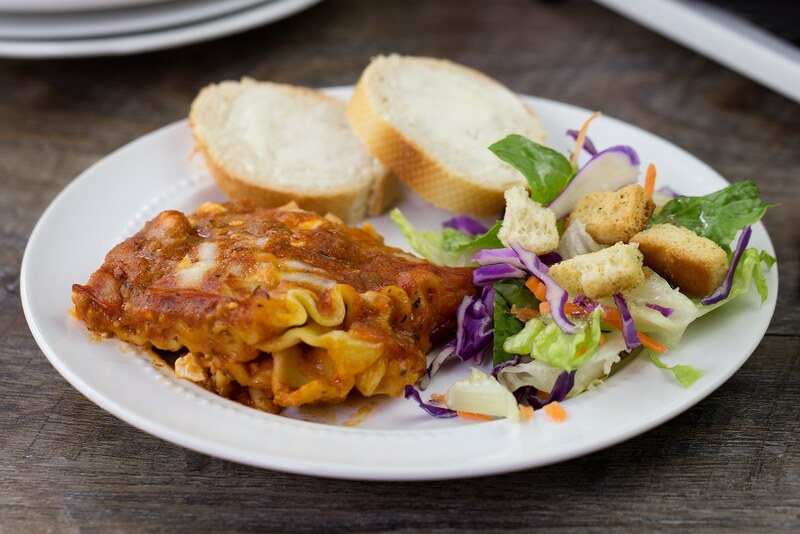 On-Cor Lasagna with Meat Sauce is made with real cheese and freshly made pasta. 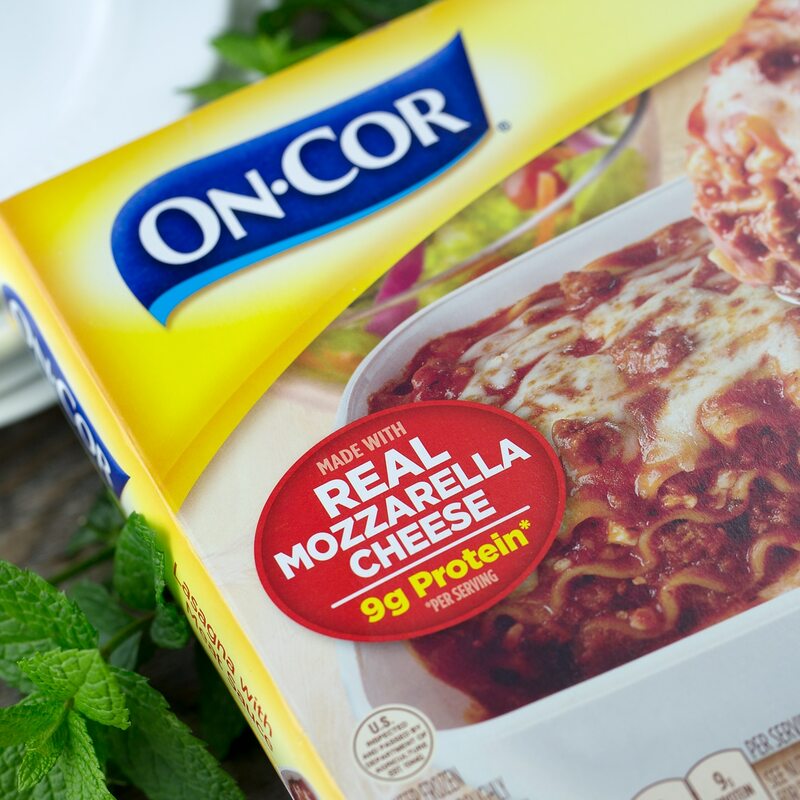 Served with Italian bread and a fresh salad, On-Cor helps make serving a hot dinner easy. 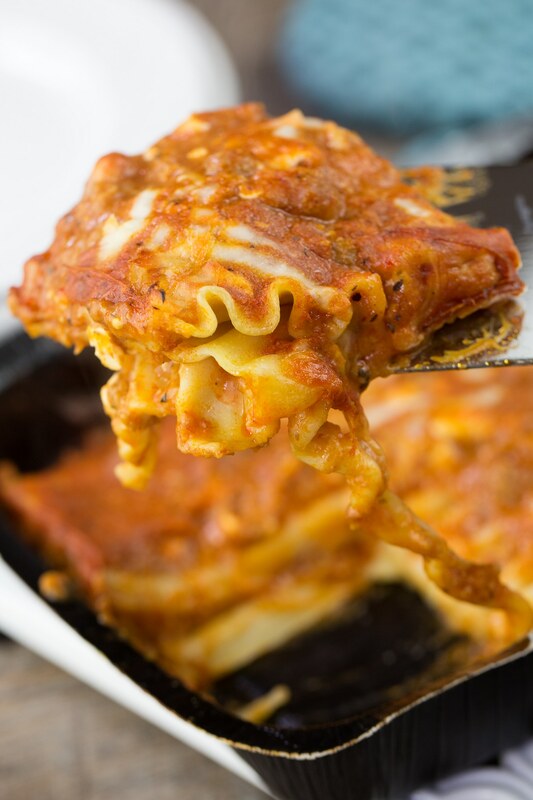 The frozen, fully-cooked, MSG-free On-Cor Lasagna with Meat Sauce takes 45–50 minutes to bake. Of course, I could use this time to catch up on household chores or work, but I like to spend it with my kids. Shared below are 10 Easy Ways to Connect with Kids While Dinner is in the Oven. Kids talk more openly when their hands are busy and easy crafts are just the ticket! The craft table is a great place to get creative and learn about your child’s life. Puzzle building is low-key, relaxing way to unwind after a busy day. Snuggle up in a chair and read a chapter or two of a beloved book. My kids really enjoy the Heroes in Training series by Joan Holub. While dinner is in the oven, invite kids to help you prep cupcakes, brownies, or cookies. Bake them together after dinner. Set a timer on your phone and head outside to play soccer or catch. The fresh air will give your kids a more hearty appetite too! Get down on the floor and play LEGOs, blocks, dolls, or train tracks. Allow yourself to be swept up into imaginative play! Use this time to brush up on math facts or spelling words. Blast some fun music and take time to clean bedrooms, vacuum, or fold laundry. Grandma and Grandpa always appreciate a FaceTime call. This is actually one of my favorites because I love snuggles and warm blankets! Doesn’t all of that sound much better than chopping, cooking, and cleaning? Let On-Cor help you steal more quality time with your kids by entering to win an On-Cor Prize Pack. The prize will include a coupon valid for one free On-Cor entrée, a planner, a lasagna spatula, oven mitts, a timer, a cast iron trivet, a puzzle or art project, and a learning activity and pencils. Such wonderful ideas! My kids are grown but with 9 grandchildren, there’s something for everyone. Thanks for the giveaway. I love lasagna! I like their sliced turkey and gravy. We love their Salisbury steak and would watch a movie! i love on cor meals on nights when there is a lot going on. i love the lasagna and chicken parm. I love that it just goes right in the oven and i can get a shower in while it cooks. Amanda, you won the prize pack! Keep an eye on your email. I need to collect your address. Thank you!